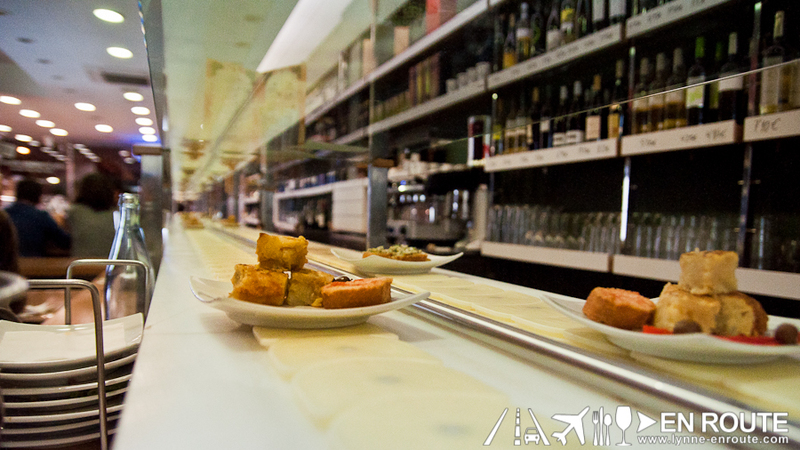 No visit to Barcelona will ever be complete without a visit to any of the tapas bars that are scattered along this vibrant region of Spain. 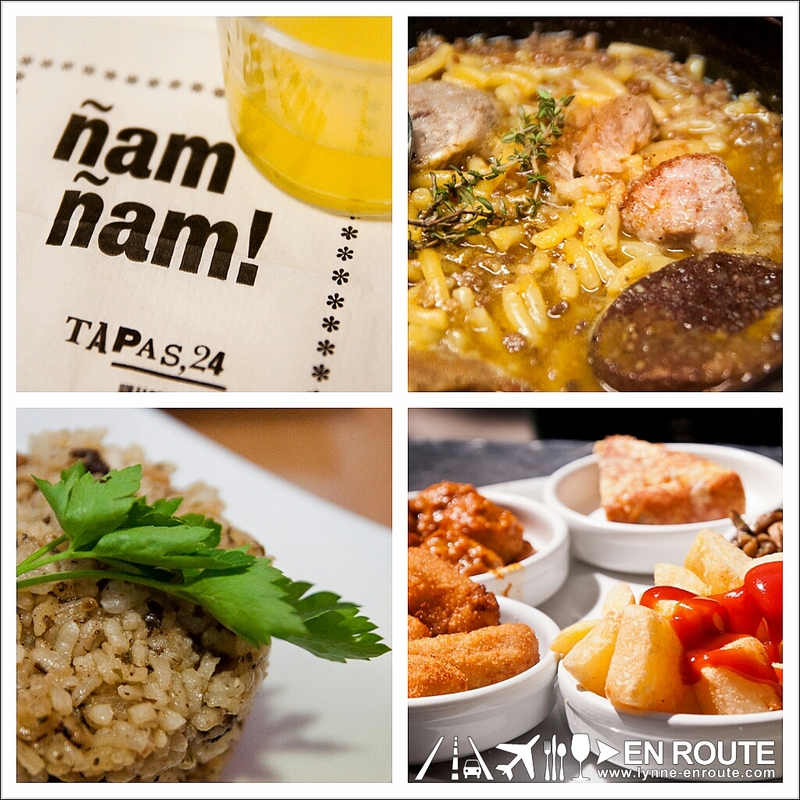 It is practically dinner to a lot of the locals, best enjoyed with beers, some refreshing sangria, or a bottle of Cava, the bubbly white wine that proudly comes from this country. 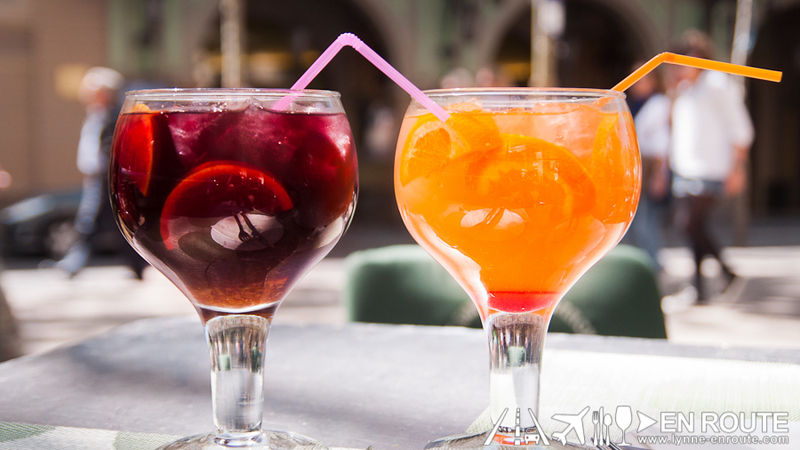 Tapas basically started out as a means for customers to cover sherry glasses to keep fruit flies from lingering near the sweet smelling aperitif. 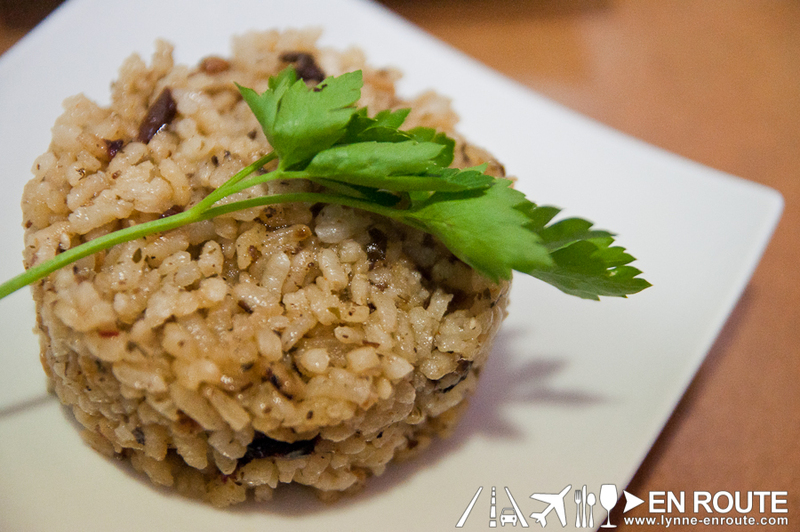 It started off as bread, then slowly, a salty viand is topped in it to get tapas bar patrons ordering more drinks. 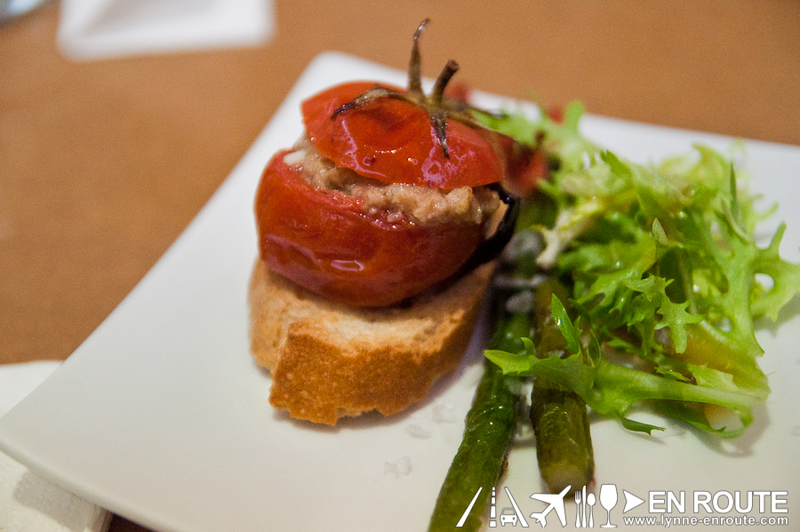 From there, different tapas variations just spun out depending on the influences of any trading or invading nations near a certain region of Spain. This one was recommended by a couple who has been here and said that this is a must stop place. One of the best finds in Barcelona! 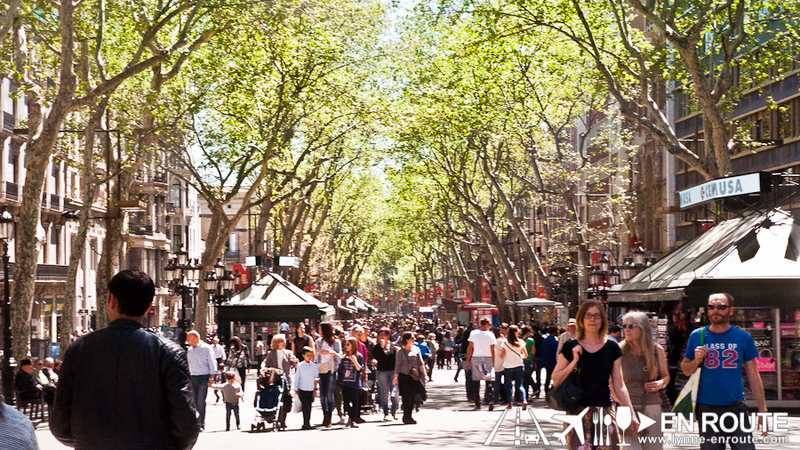 So Passeig de Gracia is that long avenue where boutiques from various fashion brands captivate and seduce tourists, mostly those of the female species. So for those guys who are left in the entrances all shopped out, this can be a haven. Take note: Go here early (like 11-11:30am). The place can get packed really fast. And if during peak tourist season, it may be near impossible. But once you get a seat, the casual, somewhat youthful vibe is relaxing (or noisy. Depends on how you see it). The menu will be in an envelope that holds your utensils and in a blackboard that holds the tapas for the day which the staff will gladly explain to you. 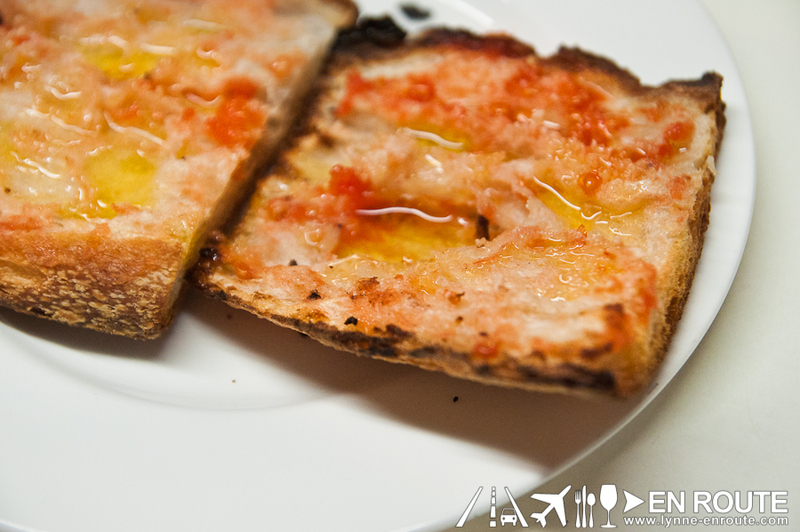 Partner your tapas with some toasted bread with tomatoes and olive oil. 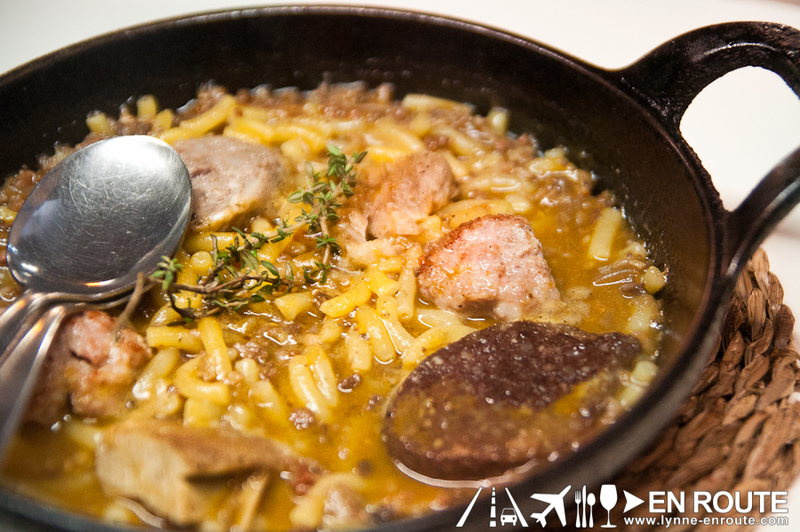 This helps in nullifying the sometimes salty/savory tastes of the tapas, like this Fideus A La Cassola (9.80 Euros): a little sizzling stew of short noodles, blood sausage, and spanish chorizo. This was fantastic topped over the bread and then finished off with a sip of some cava sangria. 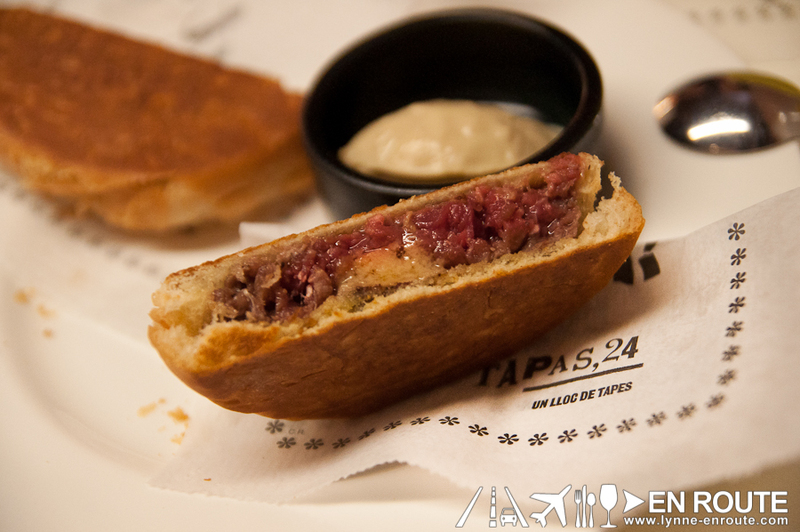 It’s pretty much what you expect of a tapas where the inspiration would be those burgers filled with foie gras (Lusso Greenbelt 5 and DB Bistro Moderne much?) Indulgence in every bite. Savor each and every morsel because these things are not as large as your usual burgers, and somewhat expensive, too. But eating is a social thing where you will have a better time experiencing this with some companions, or just chatting away with the chefs in the open kitchen. Ah yes. La Rambla. That famous commercial walkway lined with trinkets, sunshine, trees, and other peddlers of different wares. Be careful here. Snatchers abound. 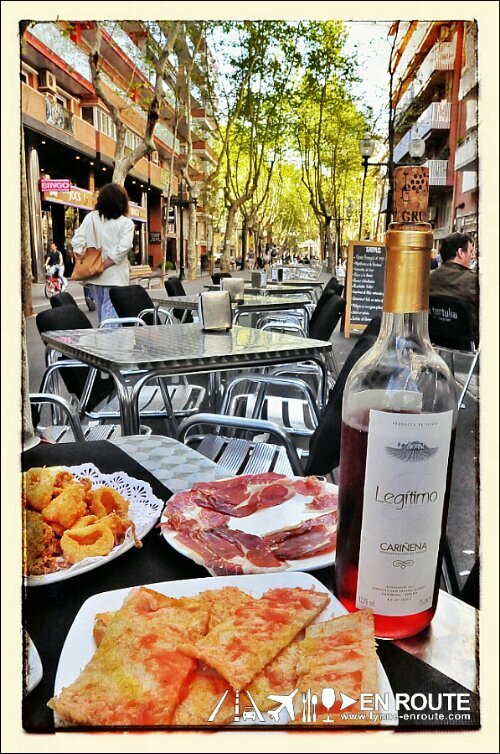 After walking around and seeing all the shops, have a seat outside L’ Opera tapas Bar and Restaurant. This is one of the oldest restaurants in the area, and their tapas selections have made sure to keep customers coming back all the time. Their Tapas Platters are somewhat cheaper considering the high tourist traffic of the area (24.00 Euros for a five selection platter). 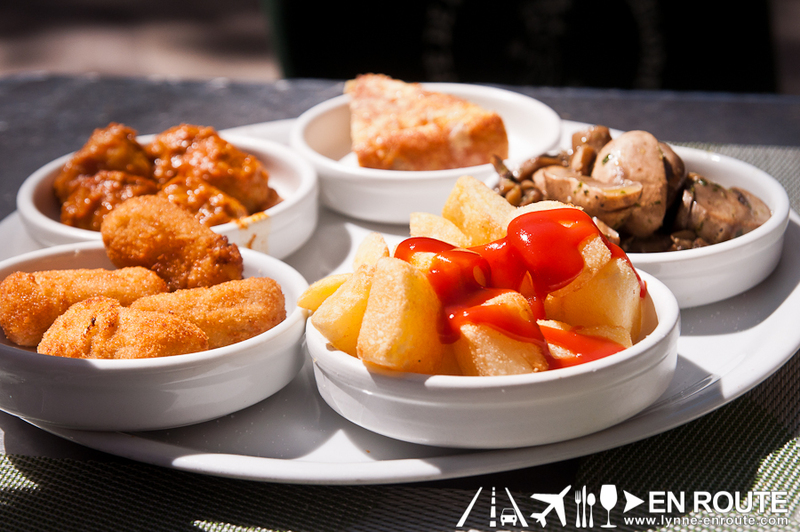 This particular platter has some mushrooms in olive oil, croquetas, potatoes with hot sauce, Albondigas (Spanish meatballs in tomato sauce), and a slice of Spanish omelette called torta. 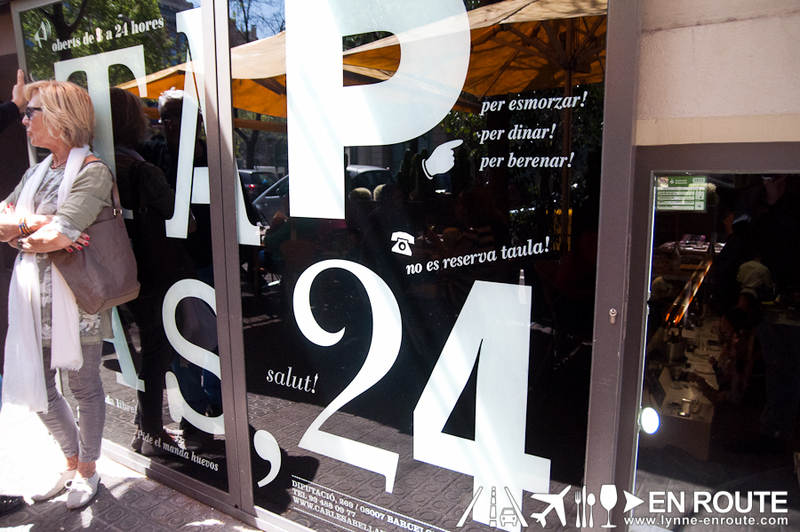 It’s no Tapas 24, but those meatballs and croquetas are comfort food under the Catalan sun while sipping on… you guessed it. More sangria. Red wine or Cava, pick your fancy. The goblets are huge, and do not attempt to drink this in less than 30 minutes. You will feel the consequences (Our experience with Beso Cucina Vinoteka should serve as a warning). 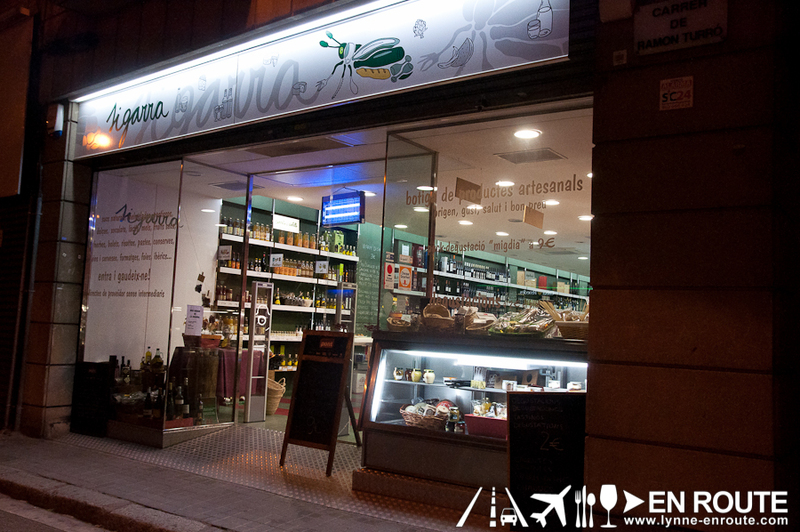 Detour: You can also go to a shop here that sells mostly iberico ham called Enrique Tomas. 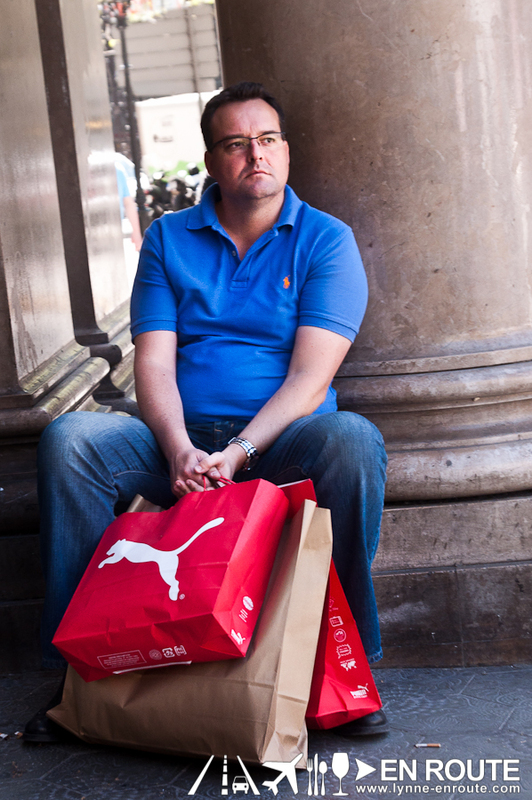 They’re ubiquitous in Barcelona, and they sell all sorts of ham. 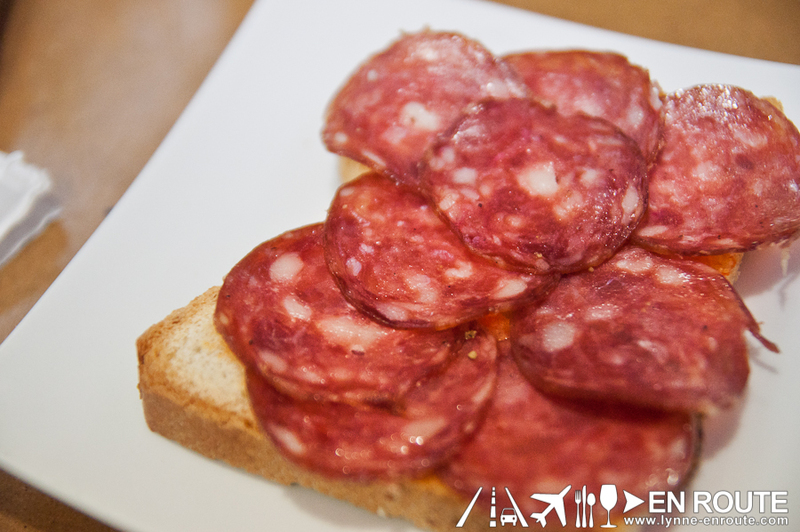 Have about 100 grams of iberico bellota (this is pig fed with wild acorns) sliced and buy some bread from the nearby grocery you will find yourself in iberico ham heaven for less than 15.00 Euros. 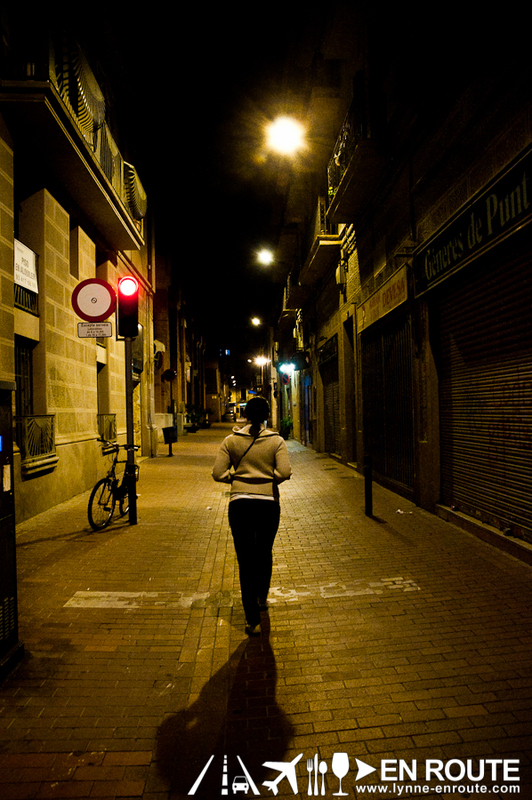 Come night time, Rambla de Pobleneau lights up, and the people begin gravitating towards this place like moths to a flame. 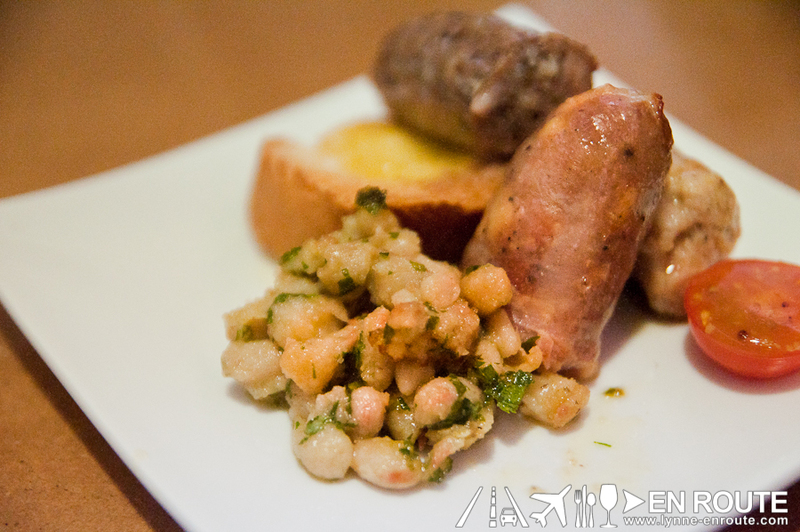 But for those looking out of this area and are brave enough to go through some of the somewhat seedy alleyways (This is very reminiscent of taking that dark alleyway to Bar Stories Singapore), you might find this tapas bar concept: Sigarra. 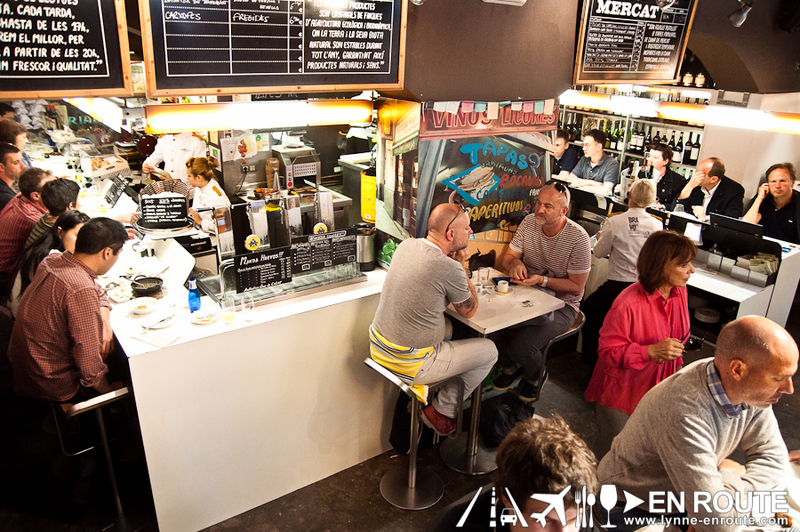 Sigarra is a tapas bar/deli that churns out its own creations of tapas, but does it in a conveyor belt style. There is always the debate on whether the stuff on conveyor belt style restaurants are any good (this is very much a debate on sushi restaurants), but the good thing here is that you can see which ones are fresh since the kitchen is open, and from there you can figure out which ones have freshly come out to ride the belt. 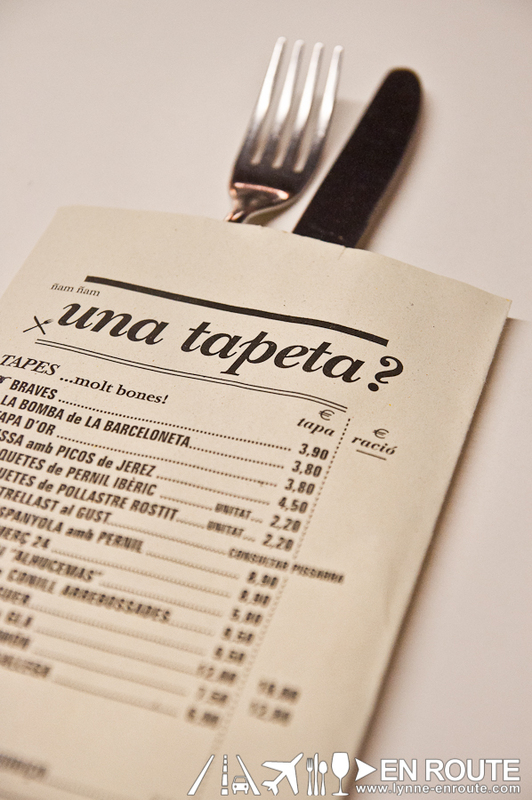 You can still order on demand, and a tapas plate ranges somewhere from 5.00 Euros to 9.00 Euros, depending on what is on the plate. After your meal, the staff count the number of plates on your table, and hand you the bill. 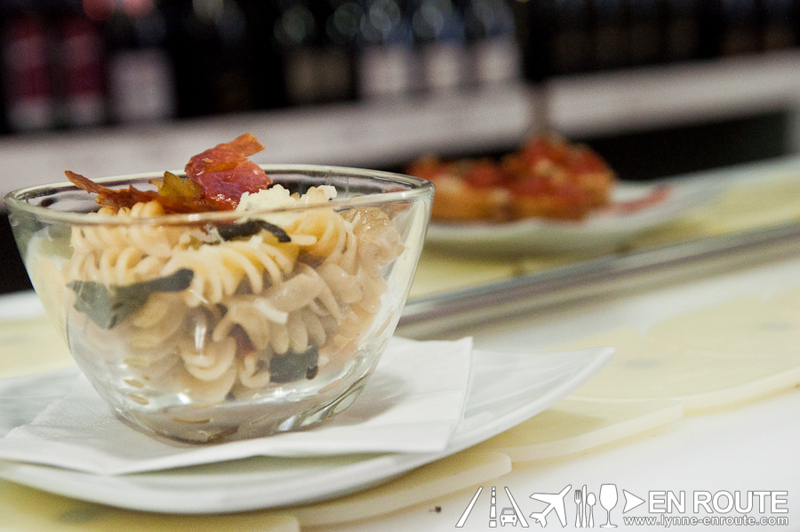 Pastas with crunchy iberico ham, chorizos, some tomatoes stuffed with duck meat, and… is that a risotto? These are fabulous morsels. 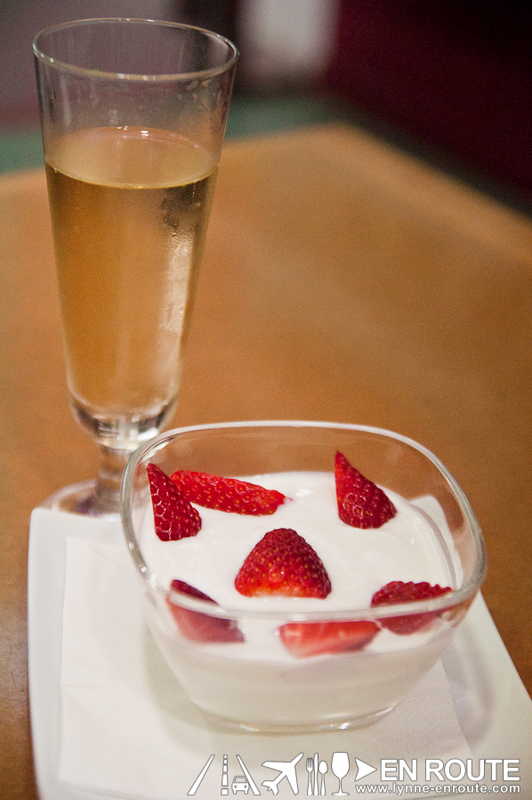 They even have a dessert of yoghurt with some strawberries. Upon reflection, yoghurt in the western world seems dense and sour. This is actually very reminiscent of the yoghurt in the Mad Greek Cafe in Barstow. The yoghurt in the Middle East and the Far East region of the world seems more viscous but with a sweeter taste. 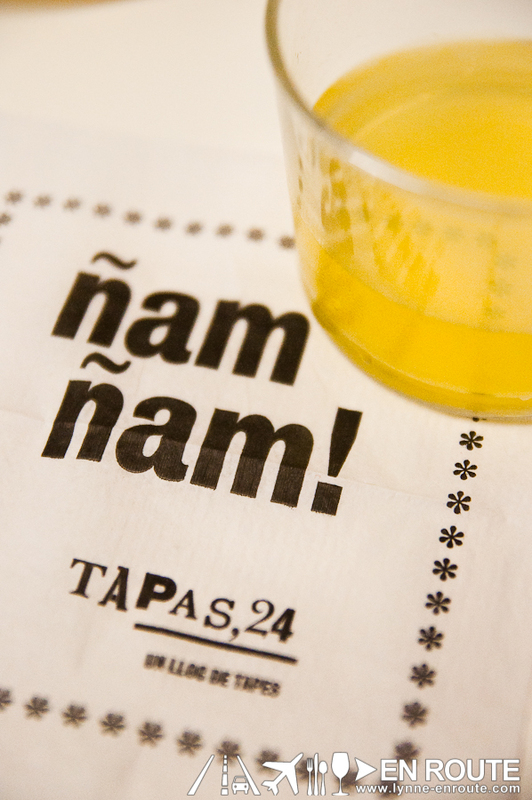 As long as you are in Barcelona (or in Spain for that matter), there’s no denying that the tapas eating culture will definitely get you hooked.